In which MGMT return from the brink of coherence to deliver the weirdo synth-pop album some of their fans have been waiting a decade for. 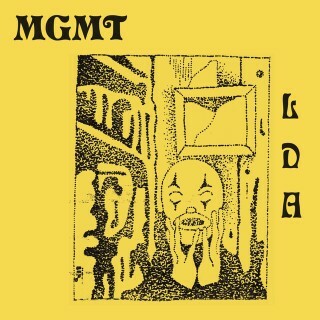 The first words you hear on Little Dark Age are “Get ready to have some fun. Alright, here we go!” The band may have sampled those words in jest — they’re from a workout video, on a song called “She Works Out Too Much” but the album lives up to the promise anyway. The festival-rocking grandeur of Oracular Spectacular is never coming back, but the playful, melodious new wave we get instead here is one of 2018 music’s most pleasant surprises. MGMT are a little young to be turning into tired old men. Yet, on the duo’s fourth studio album Little Dark Age, co-band leaders Andrew VanWyngarden and Ben Goldwasser sound as if a lot is weighing them down: the current political climate (according to them, the title is meant to be reassuring that this bleak period will only be a tiny one), our tech addictions, regretting one’s wasted time and modern dating. That’s a lot of bitter pills to swallow in one go. But stroking our necks to make the medicine go down is some of the band’s most dreamy and druggy music to date. Working again with Dave Fridmann and with some key assists from likeminded popster Ariel Pink and MGMT touring member James Richardson, the album feels like it’s alternately melting and lifting, warming and woozy. Little Dark Age is sequenced perfectly, slowly and steadily coming into focus over the course of its running time. That may feel a little sneaky, letting listeners finally get their sea legs before fading to black. But isn’t that spirit we’ve come to anticipate with MGMT?